Creative is one of the most critical components in driving ROI for your Facebook campaigns. The most successful advertisers create a significantly higher volume of creatives compared to their industry peers, and mix their creative content for a positive impact on performance. In a recent study by Facebook, brands who used both static and video assets had on average a 17% higher rate of conversions compared to brands using static only. How should you test for the optimal creative mix? If you are planning to add video to the creative mix on top of your static assets, we recommend you test static versus static and video. A common mistake made in testing is to test static and video assets against one another, forgetting that the optimal Creative Mix is more relevant. Don’t neglect to test the budget split between Static and Video too - we recommend that at least 20% of the overall budget is spent on video. What if performance varies by attribution model? 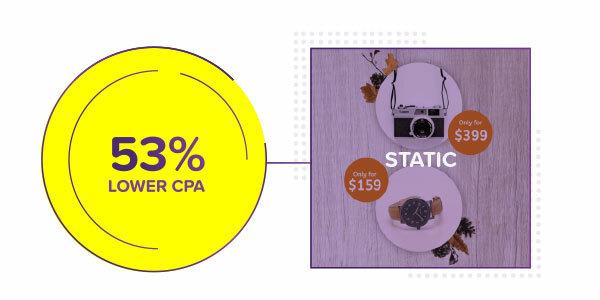 With 7 day click attribution model, static assets yielded 53 % lower CPA compared to video. 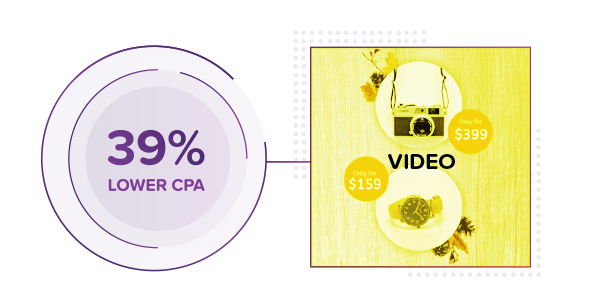 With 7 day click + 1 day view model, video assets yielded 39 % lower CPA compared to static. It is best practice to analyze the performance of the Creative Mix using different attribution models. You may find that static performs better when applying a Click-Only attribution model, but adding video into the mix drives better performance with a View-Through attribution model - clearly there is a conflict between these two models, making it difficult to assess which model is more reliable. Incrementality is ultimately what matters most, which is why we recommend a Multi-Cell Lift Test. How should you iterate your video content?